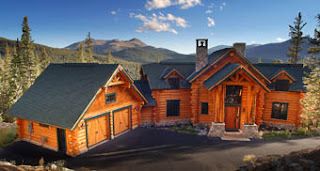 Just finished reading this blog and I wanted to let you know that our company has been restoring and finishing log homes for 22 years and we NEVER recommend using bleach to clean a log. Once bleach is put on a log it cannot be removed and bleach fractures the cell structure of the wood. slowly, year after year, eating through a log.Please check out our companys cleaning, brightening, and srtipping systems. They are the best in the market as they were designed by our owner Micheal Lewis who has a degree in Chemistry and has been restoring log homes for 22 years. We also have our own line of finishes which we feel are also the best in the business. Please check out our products at woodguru.com. I would love to send you some free samples of our finish and literature on all of our products. I would love to send you samples of our finishes and see what you think of them. Thank you for this blog. We want to be educators for log home owners and this is a wonderful blog page. Please contact me. Thank you for the informative comment. I've since looked further into the bleach issue with wood and you are right, it can be damaging to the cell structure if not washed off properly...especially if not highly diluted with water to start with. Our expertise is in building handcrafted log homes rather than wood cleaners and finishes but we definitely would like to continue learning about the new products on the market today so that we can make educated recommendations to our customers. I have looked through your web site and would be very interested in checking out the products that you offer. Thanks for the advice and for reading our blog!